How can I rent a cottage? You can also rent our cottages through Booking.com. All reservations are confirmed separately via email. From midsummer to the beginning of August and from Christmas to Twelth Day, the minimum period is one (1) week (Sat 3 pm to Sat noon). At other times the minimum stay is two (2) nights. Outside the summer season, weekend reservations start on Friday at 3 pm and end on Sunday 3 pm. The price includes a rowing boat, a charcoal grill and firewood for the fireplace and sauna. You cant rent bed linen for 10 EUR/set/change. If beds are to be made ready, the price is EUR 15 per person. You can order the final cleaning service from us for EUR 70. All guests must wash the dishes, take out the trash, and put things to their places before checking out. 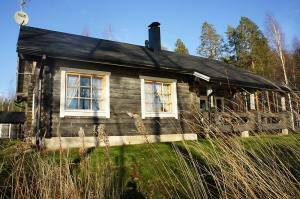 If the cottage is left very dirty, we will charge EUR 50 per hour for the cleaning service. Pets are allowed for an additional fee of EUR 10 per day. Please arrange with us how to get the keys and driving instructions to your cottage.